The new brake system, SVS Infinity, is considered a major highlight of this fishing reel. It’s even hard to imagine how it can ever be improved. The X-Ship technology provides up to 20% more power through a greater diameter gear. Weight is just 210 gr, which is amazingly low considering how much can be done with this fishing reel. 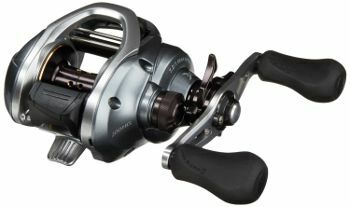 It’s affordable and backed by Shimano’s 10 year warranty. Making adjustments to the brake system can be hard to get used to. At times it can develop a screeching sound while casting. The Shimano 200IHG Curado fishing reel will make you feel like a real fisherman. While offering multiple gear ratios, the singularity of these fishing reels is that they can produce amazing results both in fresh water and salt water. They also offer softer castings and a longer durability of the gears. An impressive cutting-edge design and all the latest technology applied to sport fishing can be found at this new version of the legendary Shimano Curado reel. It is extremely lightweight (only 210 gr) and its low shape easily adjusts to the palm of your hand. It also features an innovative variable centrifugal brake called SVS Infinity, which provides an easy way to control the strength of the centrifugal breaking. This SVS Infinity system uses weights situated on the sides of the fishing reel. The SVS Infinity Break gives you a lot of versatility while adjusting the brake. The Stable Coil design minimizes the vibration at the gathering process. The gears maintain an accurate alignment, even when there is some heavy load hooked. The sensation produced by throwing and gathering is considerably improved. The Shimano 200IHG Curado is a baitcasting reel that performs as well on saltwater as it does on fresh water. This is an advantage over most baitcasting reels that will probably work on saltwater, but need some careful cleaning with fresh water after every use. Baitcasting is a fishing technique that consists on throwing a bail with a fishing line out over the water using a flexible fishing rod. There are many different techniques that can be used by anglers as an attempt to cast further, making this kind of fishing challenging and exciting. The most common technique is to shift the body weight towards the front foot in correlation to the forward movement of the rod. For salt water fishing, rods and lines are usually heavier. Rotating reels used to be built for catching bigger species, so they were not totally adequate for this kind of fishing. During the last years, some manufacturers like Shimano have designed reels with up to 10 bearings, allowing a functioning so soft that allows a way out for the fishing line as agile as the one that would be obtained with a frontal reel. Casting is also a sport supervised by the International Casting Sport Federation, which was founded in 1955 and currently has associations in 31 countries. The ICSF organizes tournaments and recognizes world records at distance and accuracy. The Shimano 200IHG Curado is widely considered as one of the best fishing reels for baitcasting available on the market for both fresh and saltwater action. It doesn’t take long to figure that the Curado I is an improvement over the previous version in terms of casting control and sheer distance. The brake weights that use inner friction against the raceway at the Shimano 200IHG Curado provide an amazing control during cast. 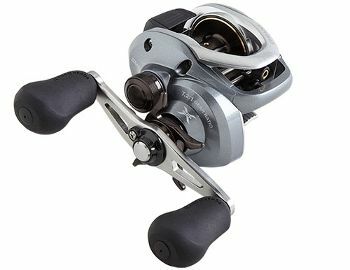 It makes use of Shimano’s SVS Infinity Brake System (a centrifugal system) that controls spool speed, while the external adjustment knob located at the lower front portion of the non-handle sideplate guarantees accurate and quick adjustments for the conditions, making it one of the most exciting aspects of the SVS Infinity Brake System. The Shimano 200IHG Curado features a Cross Carbon drag. It offers the possibility of being adjusted with the aluminum-made star drag wheel. You can try to push a maximum drag as great as 5 or 6 kg, and this fishing reel will respond quite well, which is astonishing and surprising if you consider how small in size this baitcaster is. You may also feel free to change the settings, and still the Shimano Curado Baitcaster Fishing Reel will provide an amazingly smooth experience. The max drag indicated on the official product specifications is 12 lb. 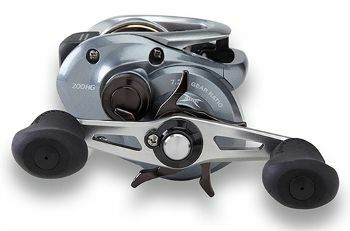 The Shimano 200IHG Curado features five deep groove ball bearings. Their closures are metal shielded with double sided shields. Lubrication is done with low friction grease. Ball bearings on fishing reels reduce friction between the different moving parts, helping the reel to move freely and smooth under loads resulting from the wind and from your drag. The five ball bearings provided by the Shimano 200IHG Curado are the S A-RB bearings, so they guarantee nice and smooth movements for the reel, help for experiencing an easy drag and also assure a long durability for your fishing reel. The Shimano 200IHG Curado offers a small reel that fits the palm in a very nice and comfortable way. Besides the comfort provided by this reel, another highlight is that it suits perfectly to a wide variety of fishing conditions and for different lure sizes. It becomes nearly almost impossible to find another fishing reel of this size that can push a max drag of 12 lb, which makes for one of the most surprising aspects of the Shimano 200IGH Curado. Overall, this is an excellent reel for the money, which leaves no room for doubt as to why any angler looking for the best baitcasting reel will find this one mentioned quite often by most fishermen. Some of the adjectives that largely define this fishing reel are: toughness, smoothness, palmable, castable and accessible. Shimano Curado is known throughout the entire world as a premier baitcast reel. It matches perfectly to medium to heavy baitcast roads. Compared to other baitcaster reels, it is easier to use because of its cutting-edge technology. Also, it is an excellent choice when fishing conditions and lure sizes differ often, because of its adjustability. 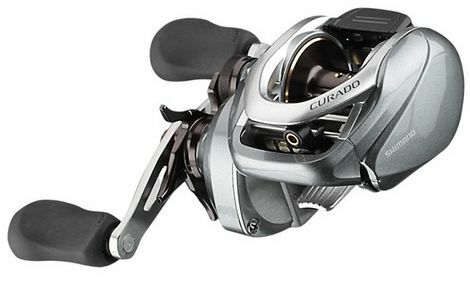 Long durability, smooth casting and an overall great performance are guaranteed with the Shimano 200IHG Curado. The owner of this website is a participant in the Amazon Services LLC Associates Program, an affiliate advertising program designed to provide a means for sites to earn advertising fees by advertising and linking https://www.reelchase.com to Amazon properties. 2019 © Great Lakes Development Group LLC.